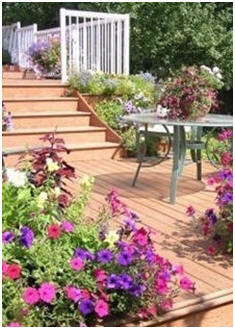 Design and build your own deck with the help of free, stock deck plans. 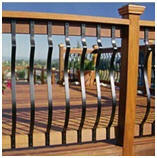 Or, create a custom deck that fits perfectly into the shape of your home. Scroll down to check out this list of free deck plans, deck building guides and how-to tips, and deck furniture project plans. Here are deck plans, ideas and safety hints that you can use on your new deck. Learn how to build a pool deck, deck stairs and more. These free instant download plans for attractive, simple-to-build deck designs include step-by-step building instructions and material lists. Their Ground Level Deck can expand your living space to the outdoors. Their Compact Deck is a free-standing seating platform for any area of your yard. Build your own custom deck. The Family Handyman Magazine helps with free plans, complete illustrated instructions and expert how-to advice and building tips. Get do-it-yourself supplies to help you build a new deck or improve an old one: hardware; tools; guidebooks; fasteners; railings; deck benches; lighting; balusters; building guide books, DIY videos and more. Western Red Cedar is perfectly suited for deck and outdoor stair and railing construction. 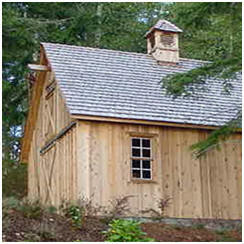 Naturally decay-resistant, light in weight, easy to work, this handsome, durable wood complements any architectural style. The Western Red Cedar Lumber Association offers a free series of innovative deck and railing design and planning guides and DIY building information. 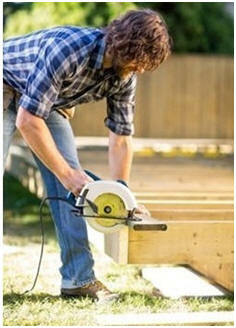 Get great advice, plans and finishing guides to help you build a backyard deck or deck pergola. For more than fifty years, The Family Handyman Magazine has been providing readers with the most up-to-date home improvement information with easy to follow step-by-step instructions, plans and photographs. Now, many of their best how-to articles are available online. Learn all of the steps to building your own deck with these free, expert online lessons and videos on deck building, finishing and maintenance. Decks are quite often the first project many beginning do-it-yourselfers tackle, but it's important to understand the basics of deck construction. Decks are built in specific steps. By taking those steps one-at-a-time, building a deck can be fun and easy. Create the perfect new deck for your home with the help of the free articles and guides from Better Homes & Gardens Magazine at BHG.com. 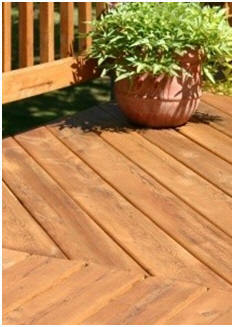 Finish your deck with great wooden furniture that you built yourself. Our list of free, do-it-yourself plans and how-to instructions includes lounges, picnic tables, Adirondack chairs, rockers and easy-to-store folding furniture. You'll even find matching sets of complete suites of outdoor living room furniture plans. Help yourself to hundreds of plans for sheds, garages, workshops, cabins, cottages, solar homes and backyard structures, offered for free by some of the Internet's top designers and publishers. Then, check out our lists of thousands of free, do it yourself woodwork, home improvement and backyard project plans too. 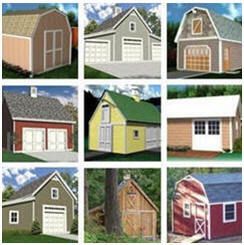 Garages; Barns; Sheds; Workshops Get started on your new shed, cabana, backyard barn, garage, car barn, hobby shop, carriage house, workshop or backyard studio right now. With one order for just $29.00 you can download professional construction blueprints for over one hundred different designs. You'll be able to download any and all of the plans right away and print as many copies as you need to get permits, to get contractors' bids and for construction. The set comes with a full money-back guarantee.